I dropped by Batu Caves this morning to see how was the preparation. The celebration already started in a smaller scale today. 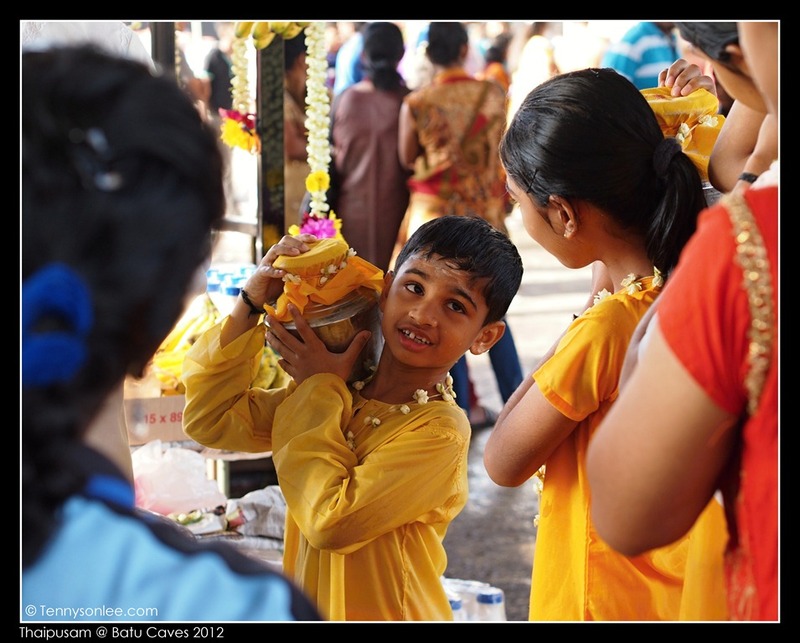 Last year was my first visit to Batu Caves during the crowded Thaipusam celebration. I took my Olympus E-PL1 and a single lens (14-150mm) during the last visit. Tomorrow I could try different point of view. These 2 pictures were taken with Olympus PEN E-P3 using view finder. 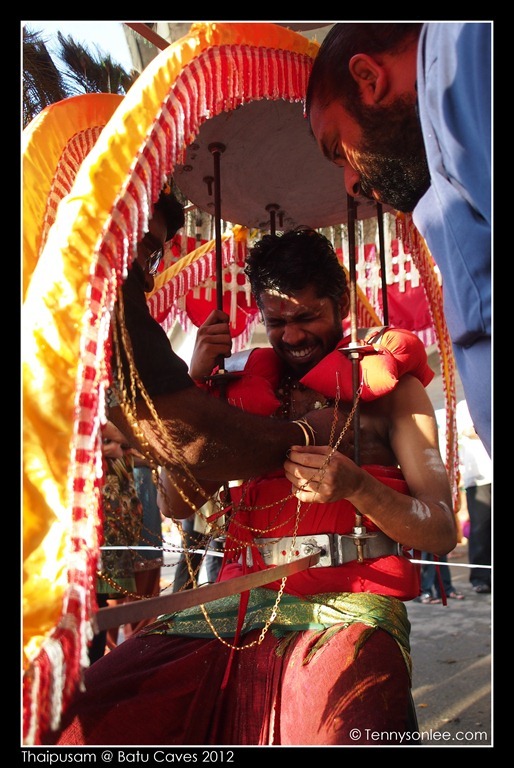 So I could get inside the kavadi or get really down angle. – wear long sleeve with a hat (do take off shoes and hat if you are entering the temple), put on sunblock if required. A pair of good shoe help for long walking distance and standing. – drink plenty of water. If you don’t like to carry the heavy water bottle, there are plenty of merchants (cold coconut juice is the best after few hours of hot sun). – don’t bring tripod (monopod is ok to take off the weight from your zoom lens). I think the best is travel light. I am not a professional photographer so don’t ask me for camera settings. I do can share travel tips with you. – if you don’t have private transportation, take KTM to Batu Caves station. If you are a tourist, few LRT (metro) stations have connecting rail to KTM line, the best option is KL Sentral. – if you drive, go earlier to avoid massive jam. The traffic is reasonable before 6am. There are plenty of parking space on the left (if you are coming from KL direction and Batu Caves is on your left). 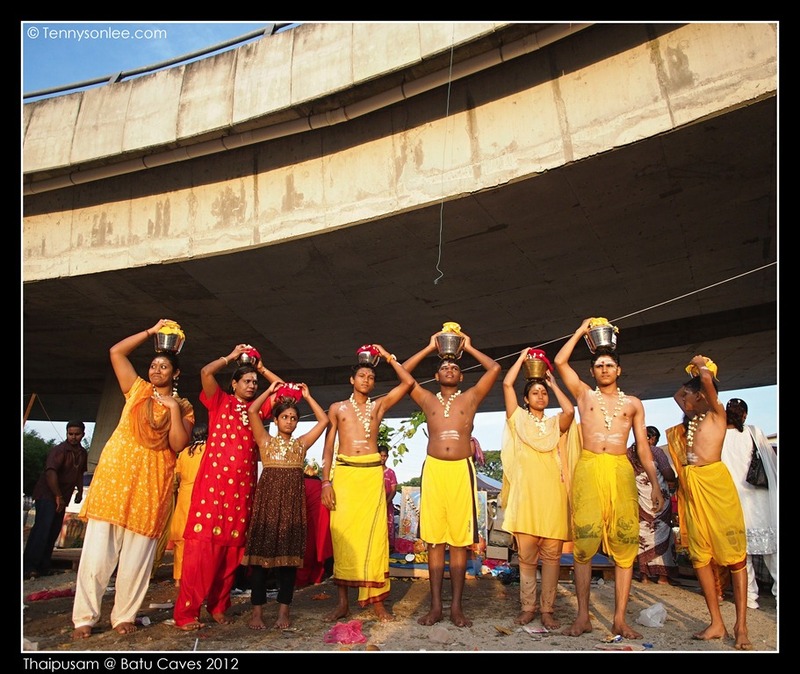 After passing the Lord Murugan statue, that the first left exit underneath an overpass. Amber parking space (some were guarded and would charge premium parking fee on the big day). 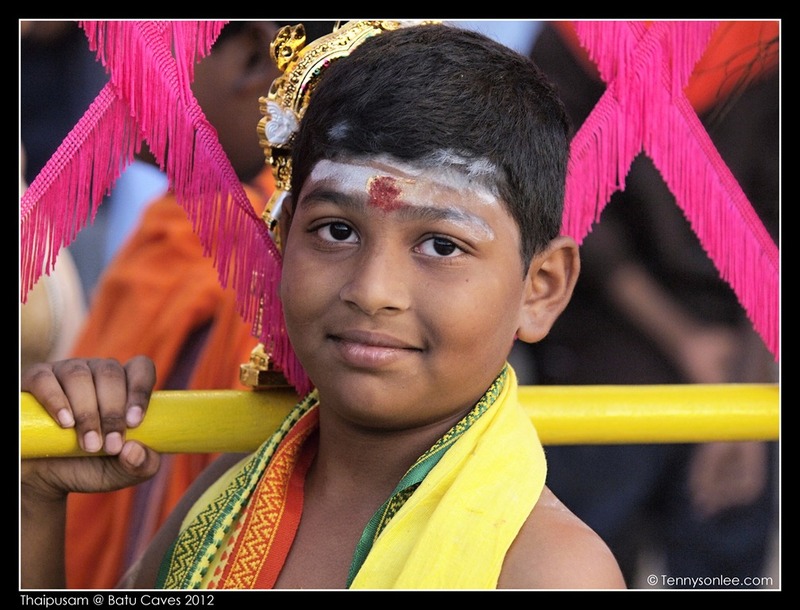 The preparation (shaving, showering, putting on Kavadi etc.) were carried out underneath the overpass (river side). The river is on the right hand side (if you are looking out from Batu Caves). You need to walk pass the railway (use the overpass). If I can wake up tomorrow morning, I will see you there. This entry was posted on February 6, 2012 by Tennyson. 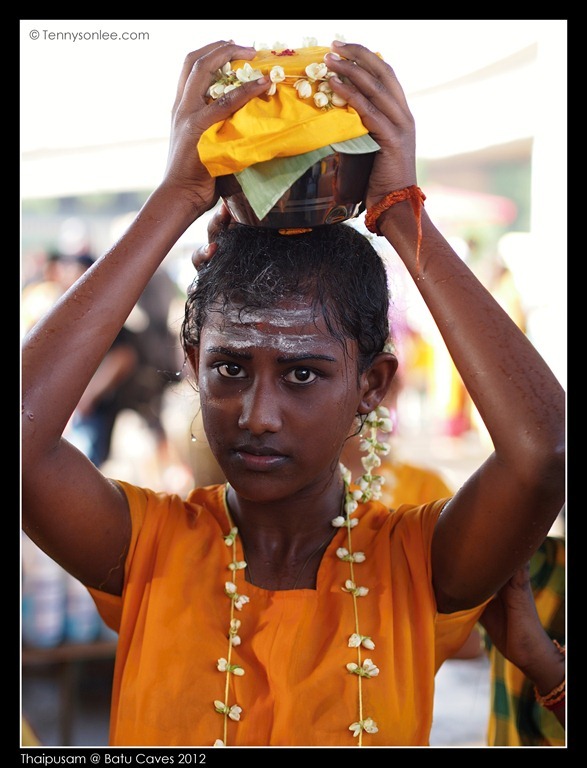 It was filed under Malaysia, Places, Selangor and was tagged with Batu Caves, Kavadi, Thaipusam.